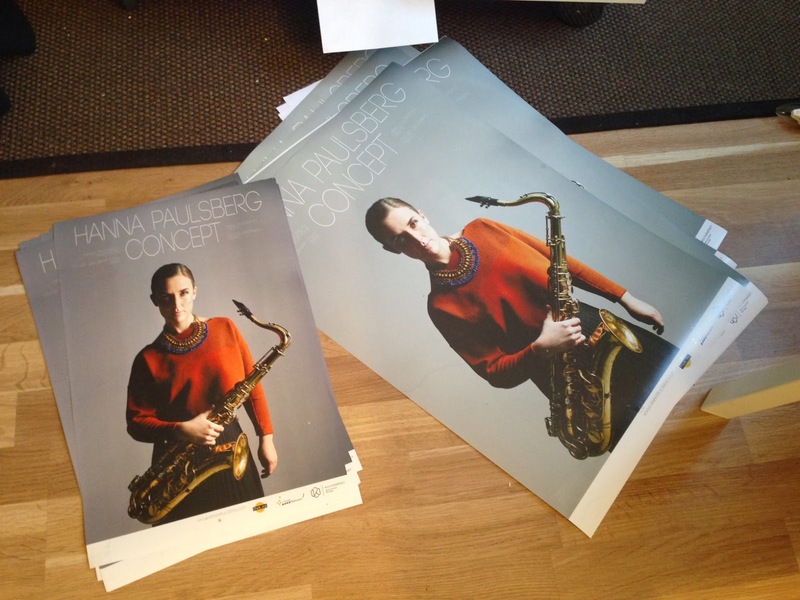 Hanna Paulsberg: The album is released! Today Song for Josia is released, and you can buy it digitally by clicking on the picture on the right side here. If you want to buy a physical copy, you can order it from Bare Jazz: http://www.barejazz.no/jazzshop.php or just send an order to hpcbooking@gmail.com with your adress. However, if you live in Germany, the album will be available in all record stores as well as digitally. The vinyl is still on its way from the printing office, but we hope to have it by the end of the month. I'm playing with Pixel at Jølster Jazz today, and I will of corse bring the new album! I am looking extremely forward to starting the releasetour with Hanna Paulsberg Concept on sunday in Oslo, we've been hanging up posters all week hoping to draw some more listeners.